ATS Euromaster has successfully renewed its SafeContractor accreditation for the ninth consecutive year, following a rigorous audit confirming the company’s commitment to safety. The renewal means that ATS Euromaster continues to automatically meet the health and safety requirements of more than 370 major businesses nationwide in sectors such as building and construction, cleaning, electrical and engineering work. 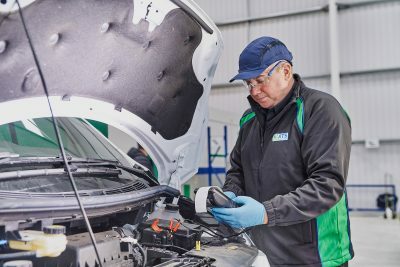 The tyre and vehicle maintenance specialist has held the accreditation since 2009 and received its renewal after undergoing one of the toughest vetting processes in the industry. ATS Euromaster was assessed on its ability to demonstrate continuous improvement in health and safety arrangements, training programmes and risk assessment policies. SafeContractor is one of the fastest growing health and safety assessment schemes in the UK with more than 28,000 members and 370 clients. It is part of the Alcumus Group, the provider of technology-enabled compliance risk management, certification and verification services. The latest renewal of SafeContractor reinforces ATS Euromaster’s health and safety credentials in its sector. It has held the Royal Society for the Prevention of Accidents (RoSPA) Gold Award since 2014 and been a member of the Contractors’ Health and Safety Scheme (CHAS) since 2010. The company was the first, and is still the only, national tyre specialist to hold all three accreditations. ATS Euromaster Ltd, part of the Euromaster Group, was established in 1965 and operates approximately 330 centres, more than 700 service vans and employs nearly 2,300 people, providing coverage across Great Britain. It is the country’s largest comprehensive tyre distributor, supplying tyres for cars, vans, trucks, buses/coaches, materials handling equipment, agricultural machinery and construction plant. The company’s expertise also extends to car and van service, maintenance and repair (SMR), including: menu-driven servicing, Class IV & Class VII MoT tests, brakes, batteries, shock absorbers, oil, exhausts, fault diagnostics and air-conditioning servicing. ATS Euromaster is accredited by both safecontractor and the Contractors Health and Safety Scheme (CHAS) and has been granted a Royal Warrant as tyre specialists to Her Majesty The Queen. It is also an official ‘industry partner’ to the Freight Transport Association’s Van Excellence programme and holds the RoSPA Gold Award. Note to editor: For press information visit ATS Euromaster’s online newsroom or contact James Boley on 020 8647 4467, or by email to james.boley@garnettkeeler.com.